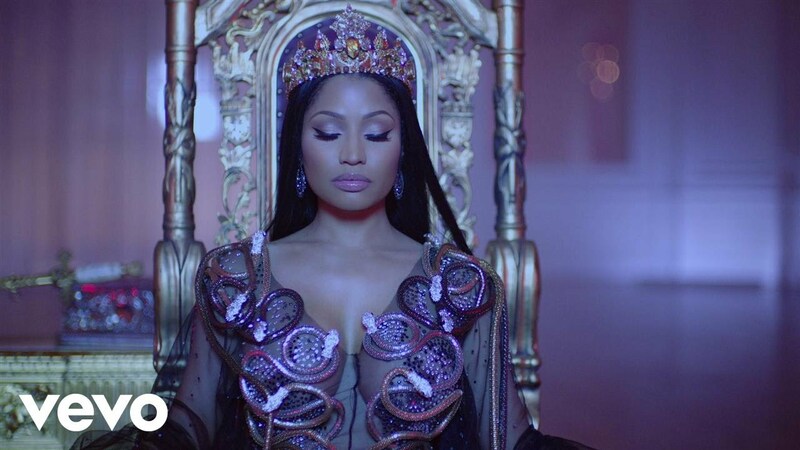 Nicki Minaj has released the music video for her Drake & Lil Wayne collaboration, 'No Frauds', to much criticism. The promo was shot around London, mainly Westminster Bridge and Soho, the day before the March 2017 terrorist attack on the capital. The Trinidadian rapper was spotted filming on the London bridge, overlooking Big Ben and the Houses of Parliament, on 21st March. It was speculated that Nicki would drop the scenes and re-shoot, however they still made it to the final cut. > Download Nicki Minaj's 'No Frauds' on iTunes. What the f--- is this b---- inhalin'? What type of bum b---- shoot a friend over a rack? Left the operating table, still look like "nah"
Why do n----- that are not involved love to get involved? Why do n----- claim the streets and act just like the law? N----- see me like, "What up, Killa?" Sometimes I ask God, "Man, why him?" I just looked in the mirror like, "All right, all right, all right"
Just told my lil' mama, "Babe, I think I love you, kinda"